beautiful watch that looks stunning on. Perfect gift for that special someone. The rose-tone of this watch blends perfectly with any skin tone. The coloring on this watch sets it apart from your typical gold watches. This August Steiner women's watch features a bezel studded with Swarovski crystals around an etched pattern dial. The dial features Swarovski crystal hour markers and a date indicator. 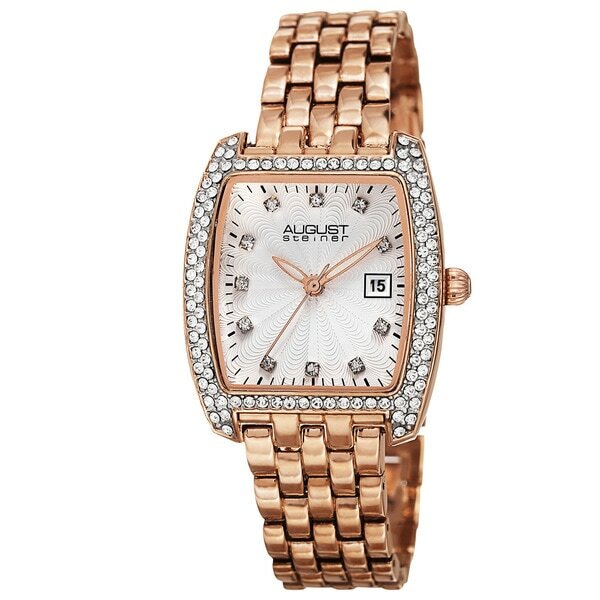 The elegant bracelet adds to the exquisite look of this timepiece. "Can you buy extra links"